Medisoft Revenue Management allows claims to be scrubbed and edited before the claims are transmitted to the clearinghouse. Get claims right the first time! Automated payment posting into Medisoft eliminates manual entry and improves accuracy in collections. Real-time and batch eligibility options provide quick confirmation of patient insurance and benefit coverage in your billing system. 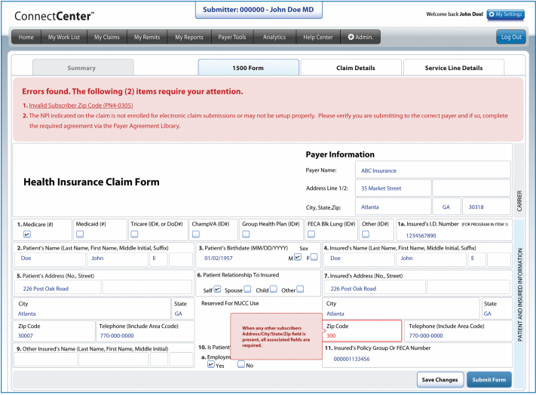 Access up-to-date status of your claims at any point during the payer adjudication cycle with just a click. Customized Workflow. Fully customize your own secure homepage to see exactly the tools, information and tasks you are interested in when you log in. Performance-at-a-Glance. Evaluate your practice’s revenue performance using benchmarks from the industry and other TPS clients. Delivery Confirmation. 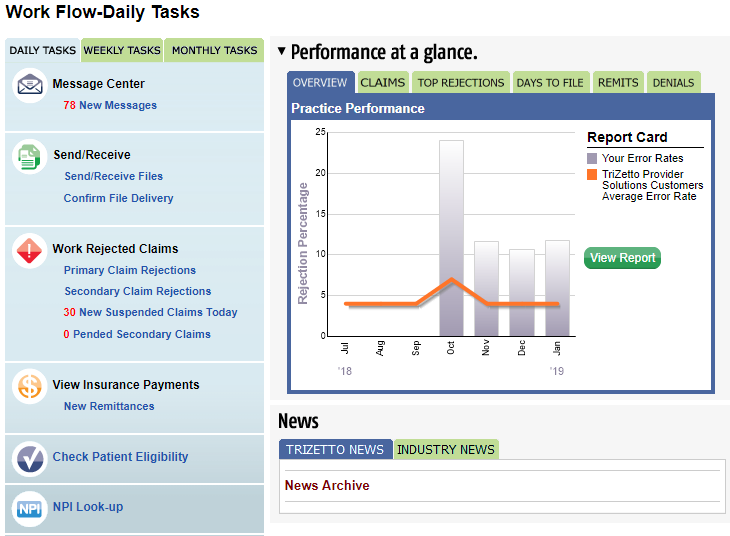 See key information about all pending and processed claims files, including transmitted files, claims value, acknowledgements and more. Safety Net Reporting. Review all rejected claims, along with total and individual claim value, on one simple screen. Rejection Analysis. Easily identify the most common reasons for rejected claims, and the revenue impact to the business. 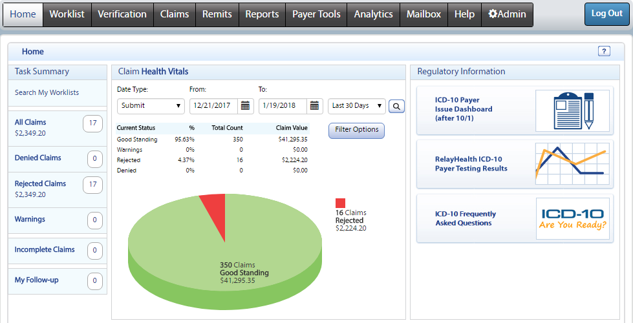 Formerly known as RelayHealth, Change Healthcare solutions offers their powerful ConnectCenter portal to help reduce the time to payment by removing manual steps in the claim process. Submitting claims electronically can reduce paper and postage costs and increase staff productivity. Change Healthcare manages over 3.3 billion financial transactions between healthcare provider and payers annually. We are driven by customer needs to innovate solutions that help enable your success in the business of healthcare.